We love pretend play in our home. My oldest son is Autistic and has always struggled with using his imagination, so we encourage it often and love to play with toys that we can be imaginative with! When we purchase gifts or make wish lists for Christmas, we are always mindful of the imaginative use of each toy. 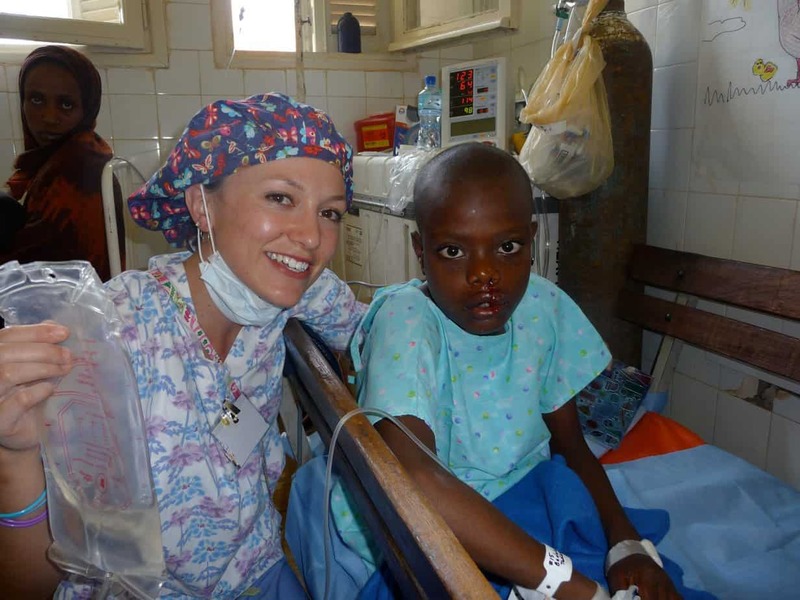 We love to play with a purpose and really try to facilitate that with each of our kids. 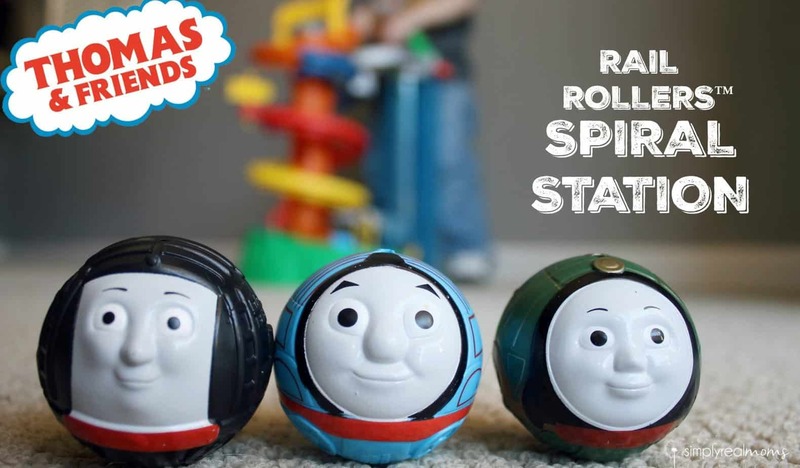 We recently received the Thomas and Friends™ Rail Rollers™ Spiral Station and it’s the perfect addition to our pretend play toys! My boys love trains (especially Thomas!!) and so by incorporating something they love so much, the imaginations start to run wild and we have so much fun! The boys like to make the trains race down the two separate tunnels. They make their train talk to the other with things like “Let’s race!” or “Are you faster than me?” and then they each release their Rail Roller ball to watch the race to the bottom. 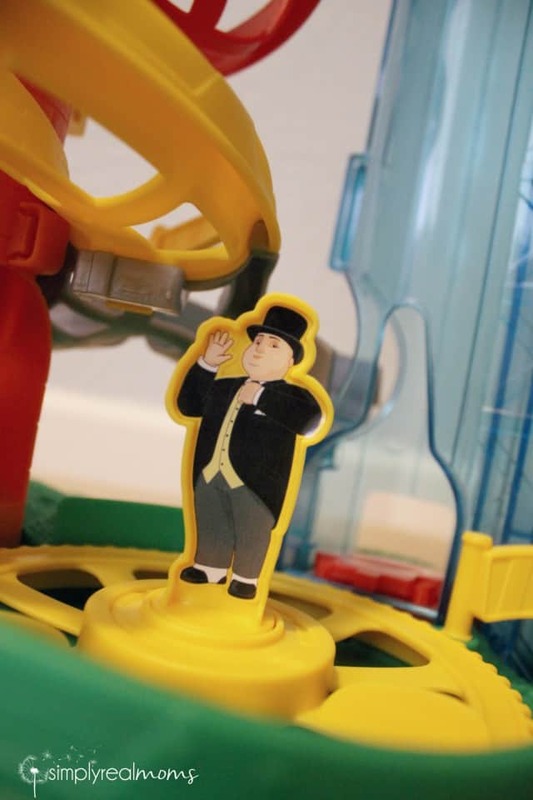 Their trains always stop to chat with Sir Topham Hat, who watches over the roundabout at the bottom. One will wait with their train at the top while the other’s train rides the engine lift up to meet him and race again! 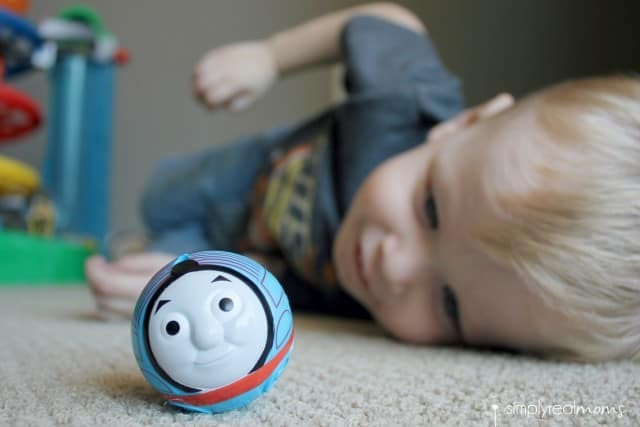 The Thomas and Friends™ Rail Rollers™ Spiral Station is a great choice for pretend play. It takes the world of trains to a whole new level for your little conductor! 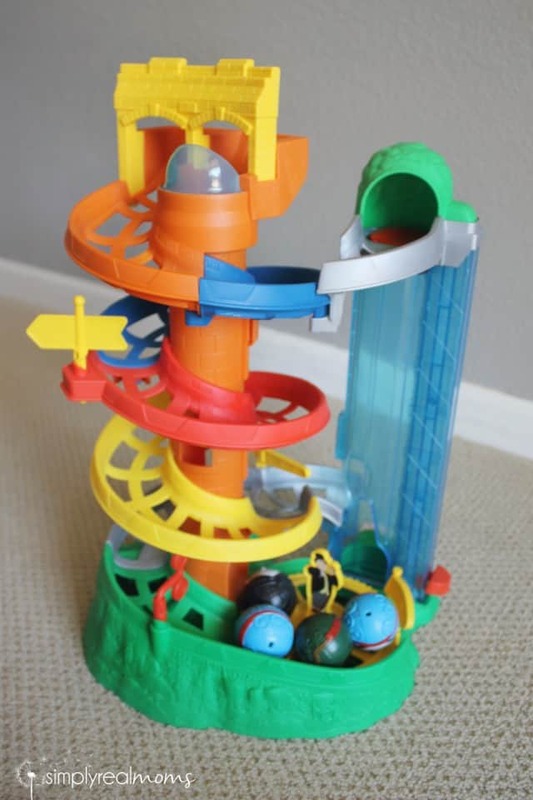 Whether they roll the trains down the spiral slide or down the center tower to the spinning roundabout at the bottom or up and down the engine lift with ease, your kids will find so many ways to use their imagination with this fun toy! 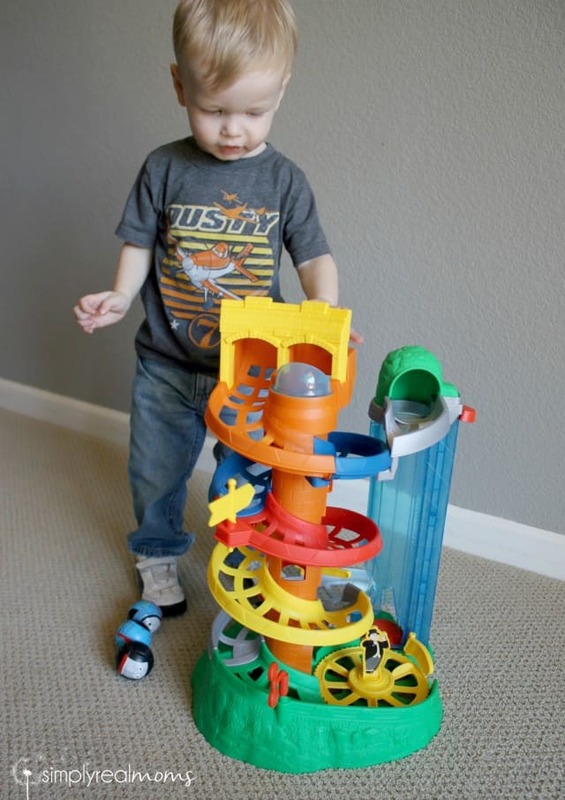 It’s the perfect height for a new walker or young toddler to reach all the top entrances with their train, and stable enough for them to hold on while they roll their train down the spiral slide. How much would your little conductor love to receive the Spiral Station this holiday?! You can find the Thomas and Friends Rail Rollers Spiral Station online or at your local toy retailer. Pick it up for your train lover today! *We received product to facilitate reviews but all opinions are my own.